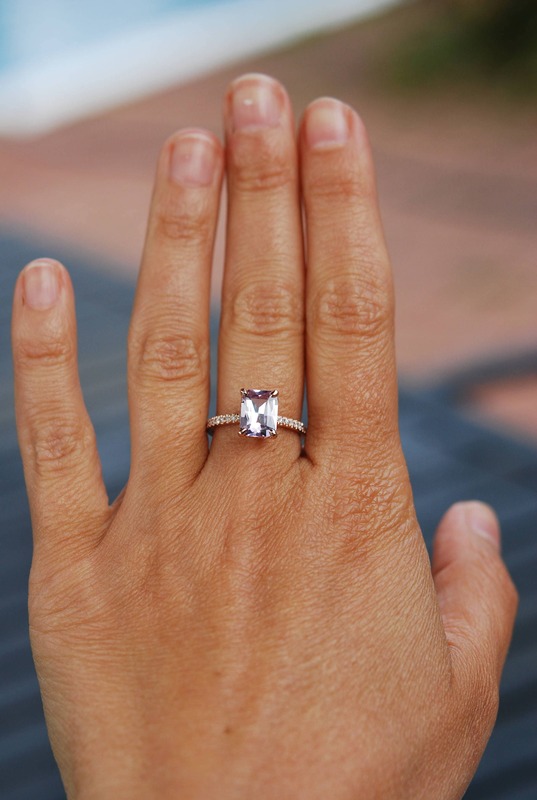 Emerald cut sapphire engagement ring. 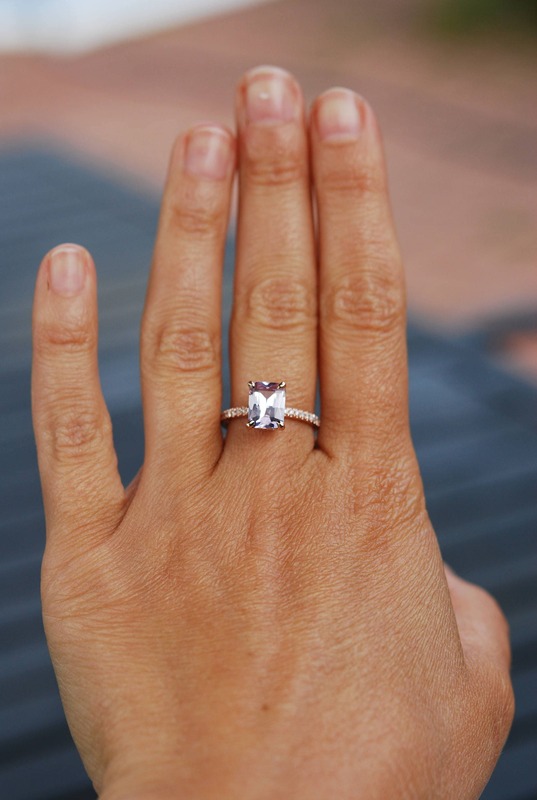 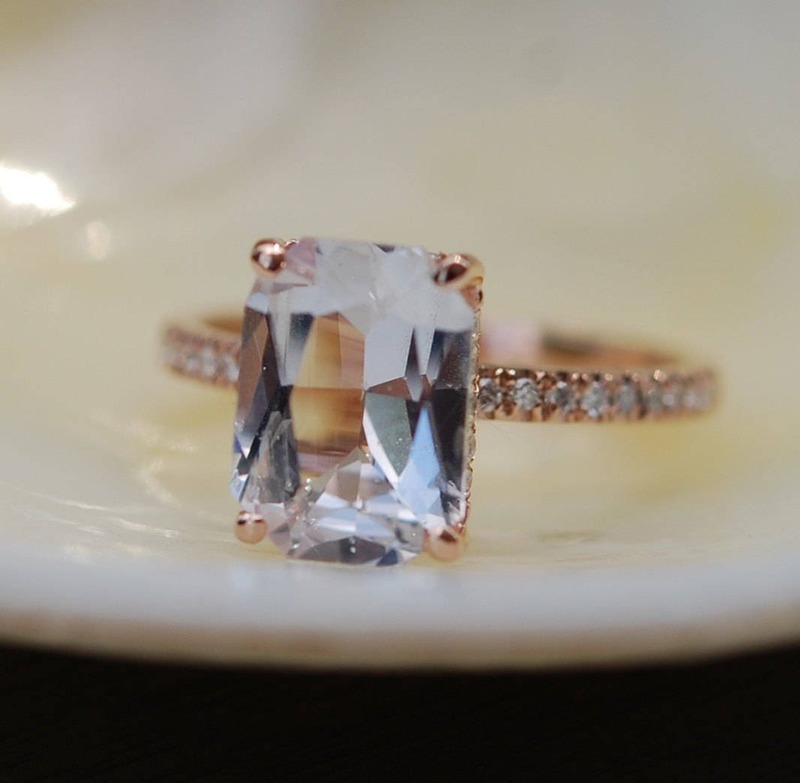 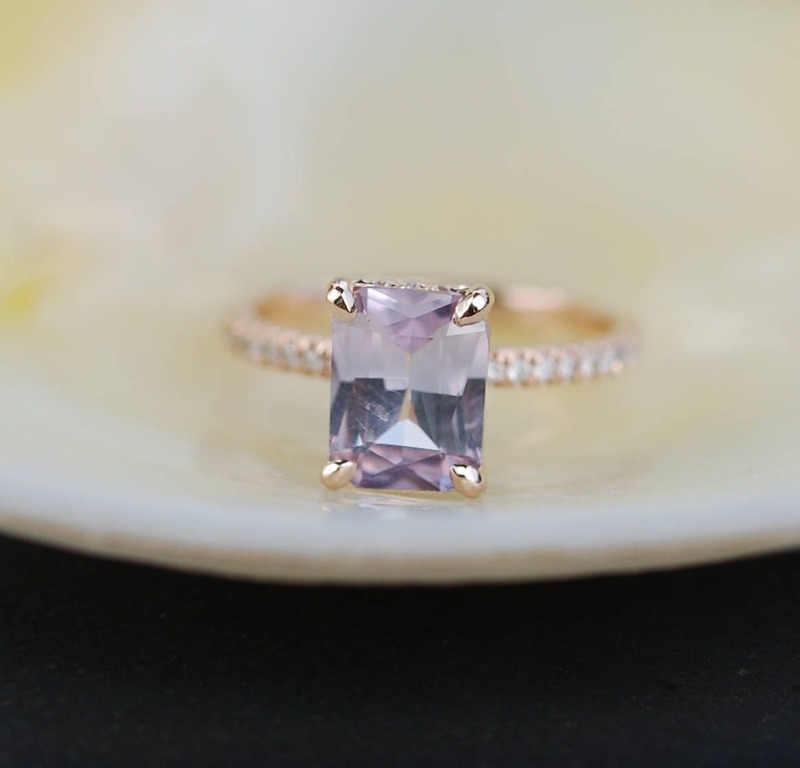 Very beautiful ring features a natural non-treated sapphire in gorgeous White/ smokey peach color that displays some color change depending on the lightening. 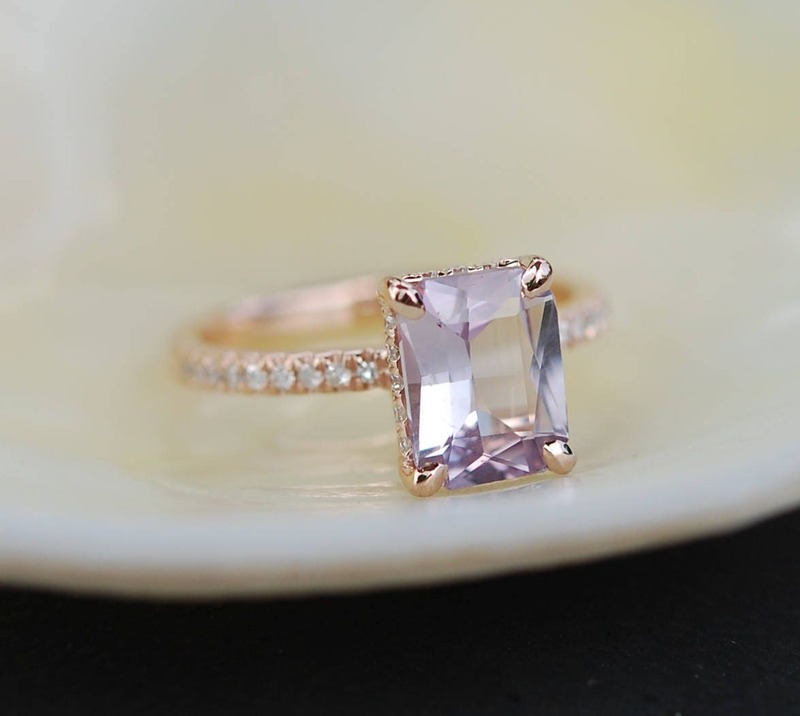 This stone is 4.61ctct, emerald cut, unheated., SI. 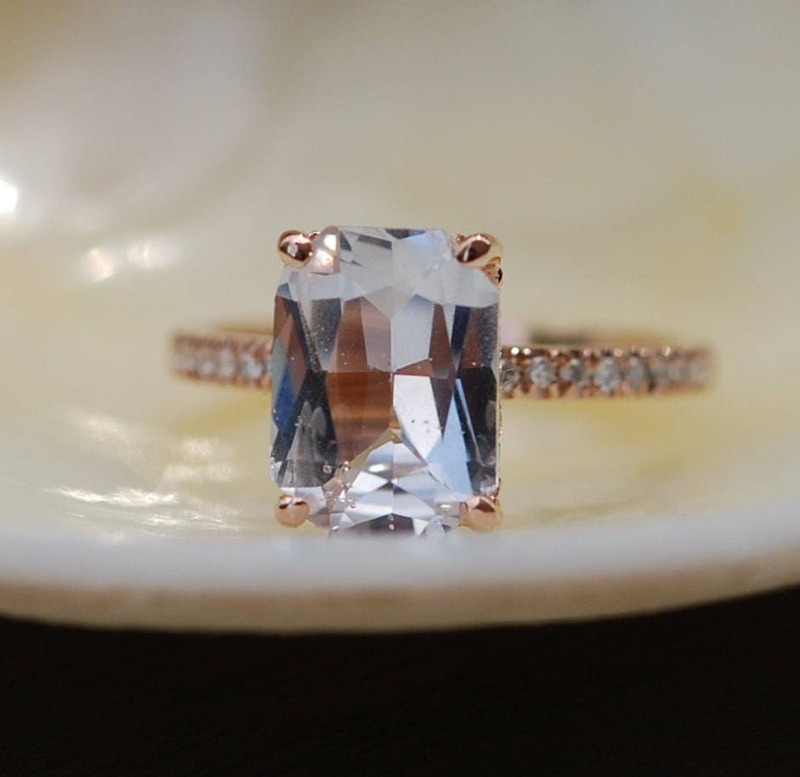 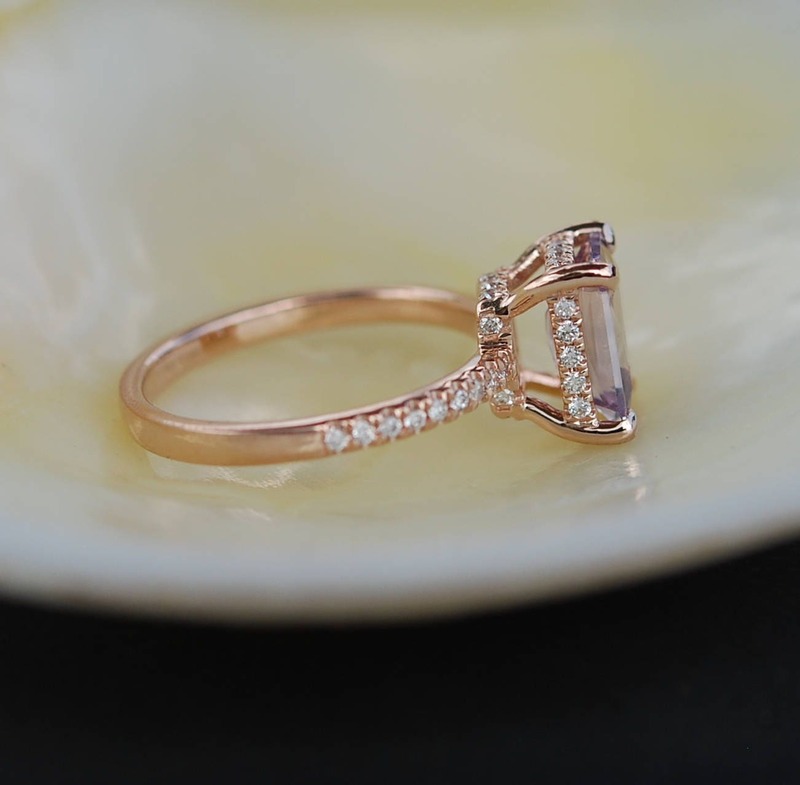 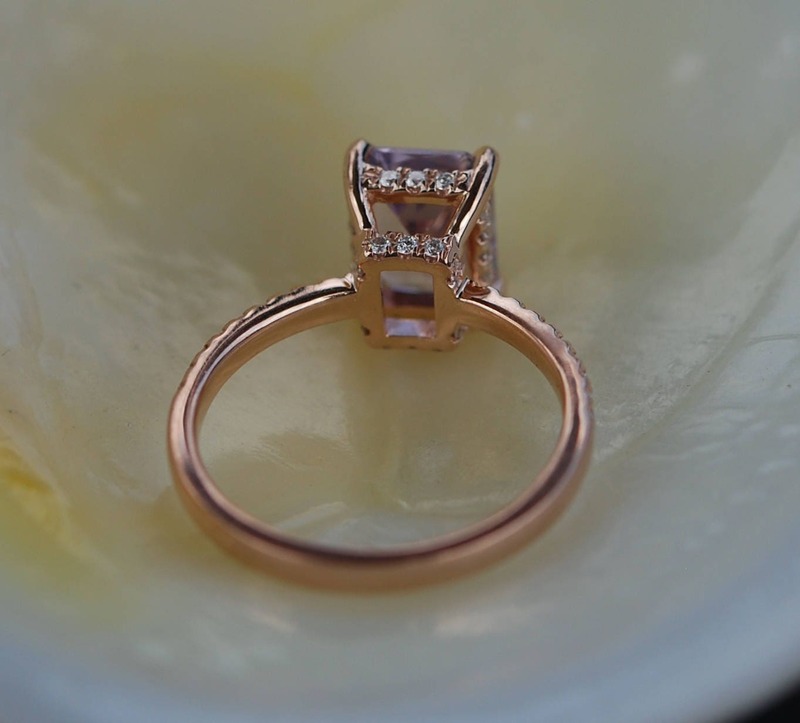 It is set in my upgraded Blake setting 14k rose gold setting, VS/F diamonds.